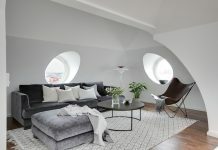 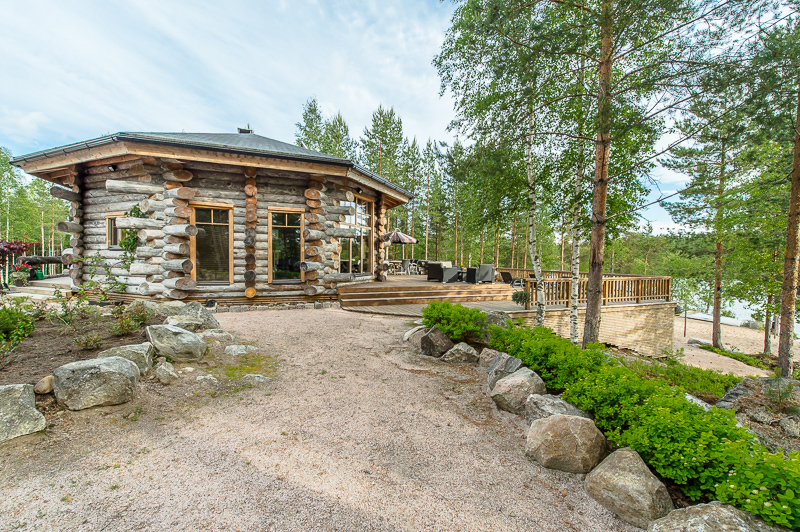 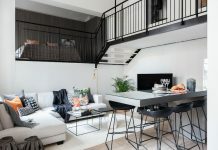 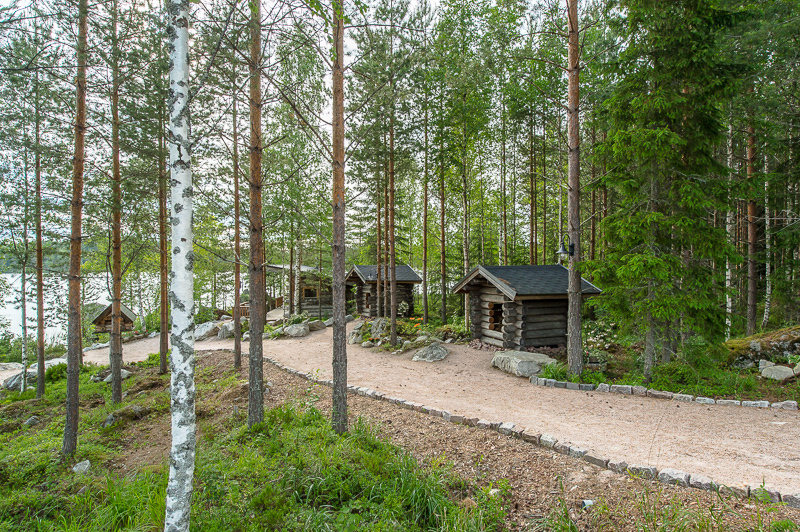 Finnish homes and interior design are known from their elegant association with functionality and being close to the surrounding nature. 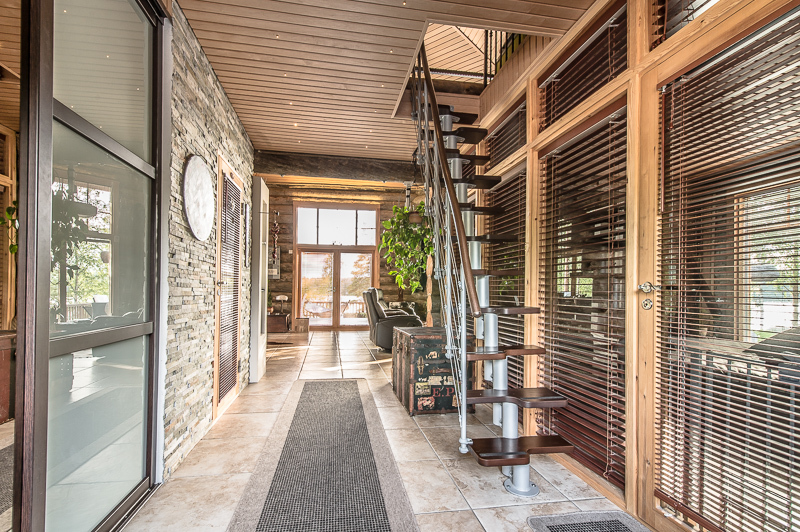 This holiday paradise in Hartola is no exception. 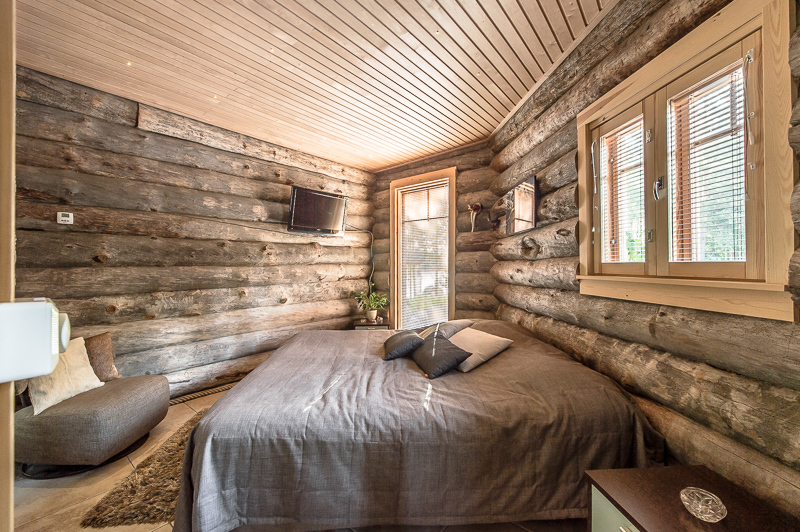 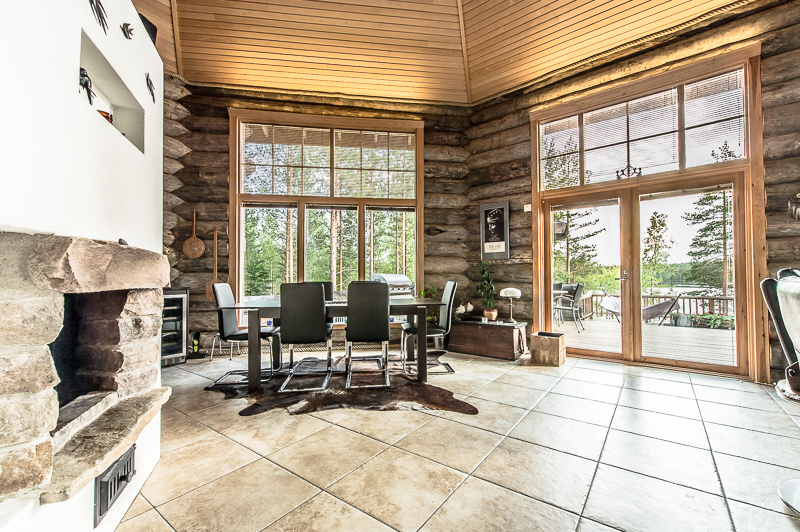 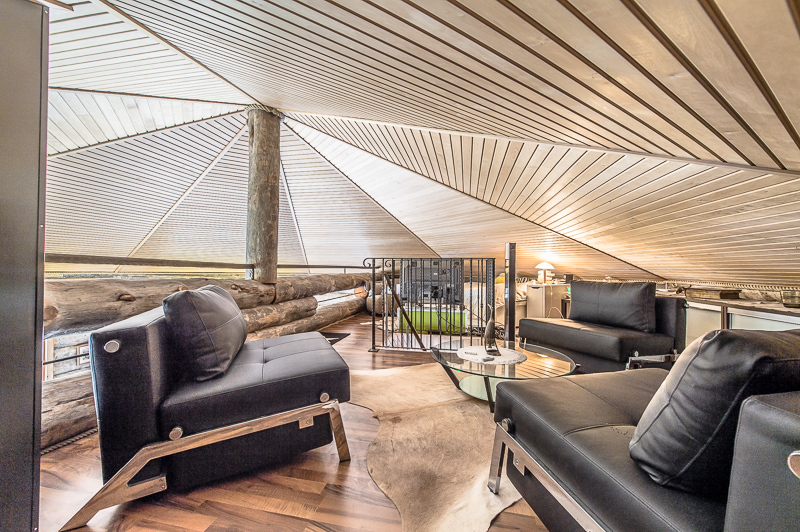 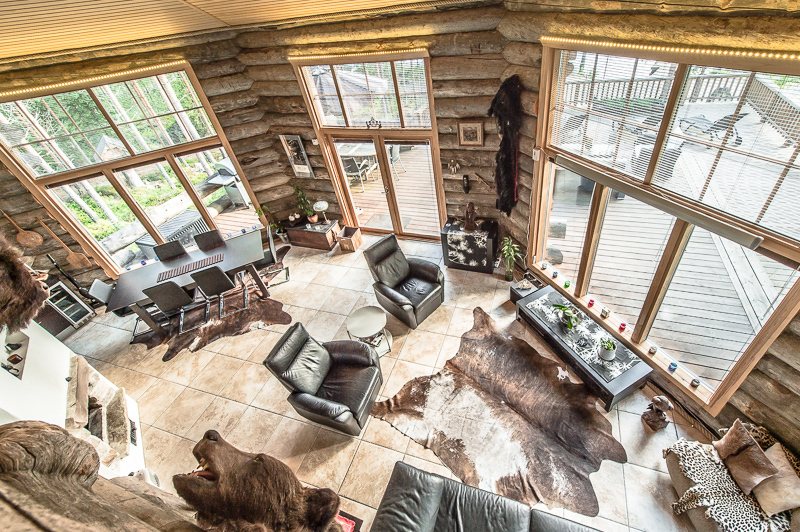 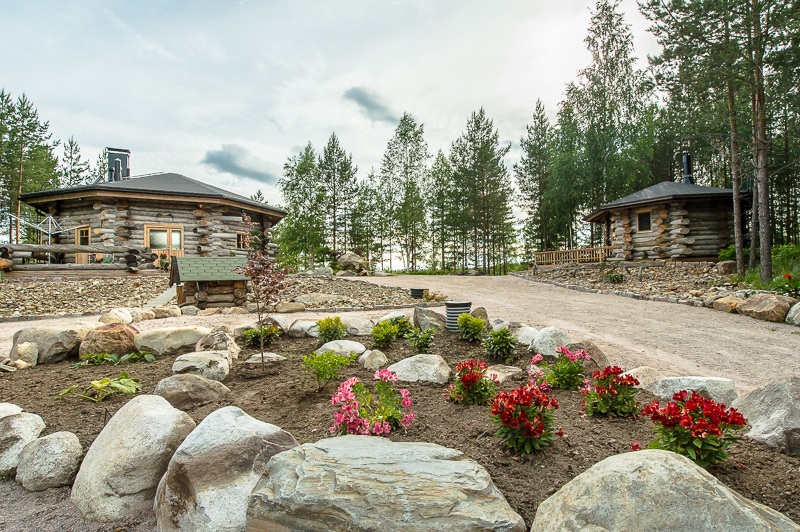 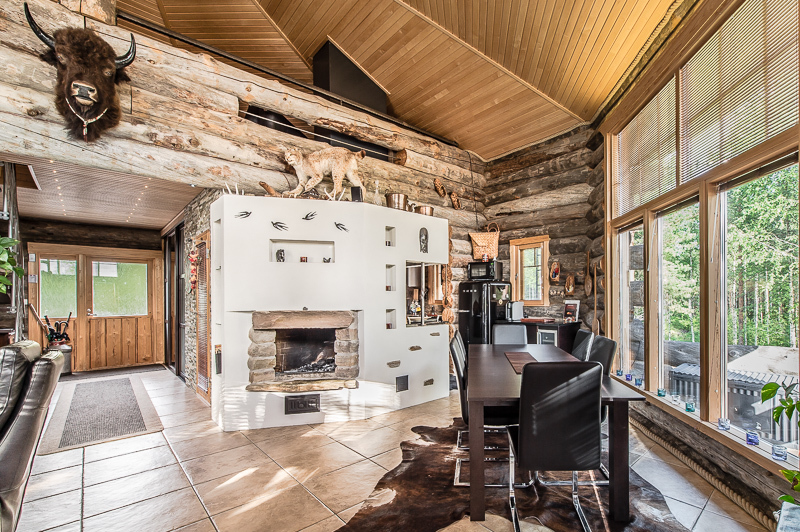 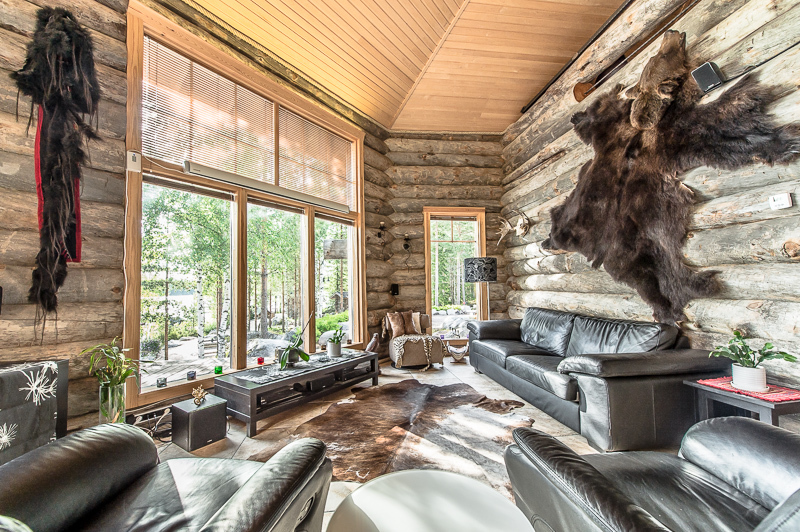 This log cabin villa brings you as close to the nature as possible. 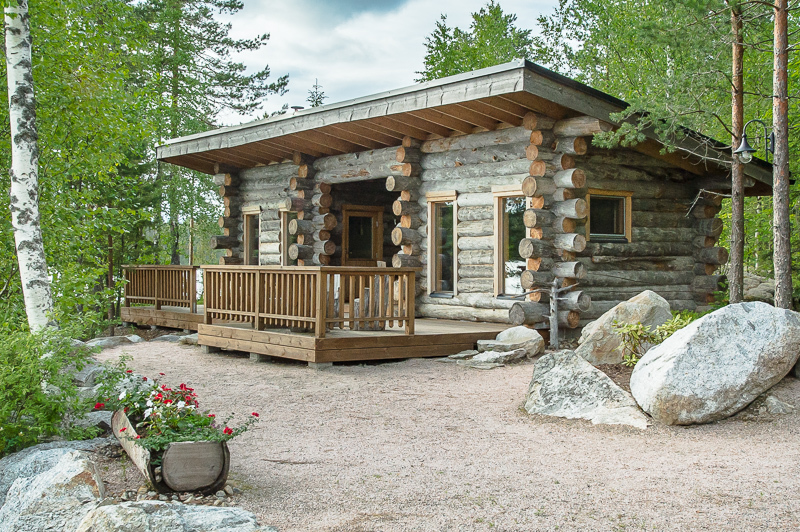 With additional buildings to accommodate your friends this place is a perfect place for the whole family. 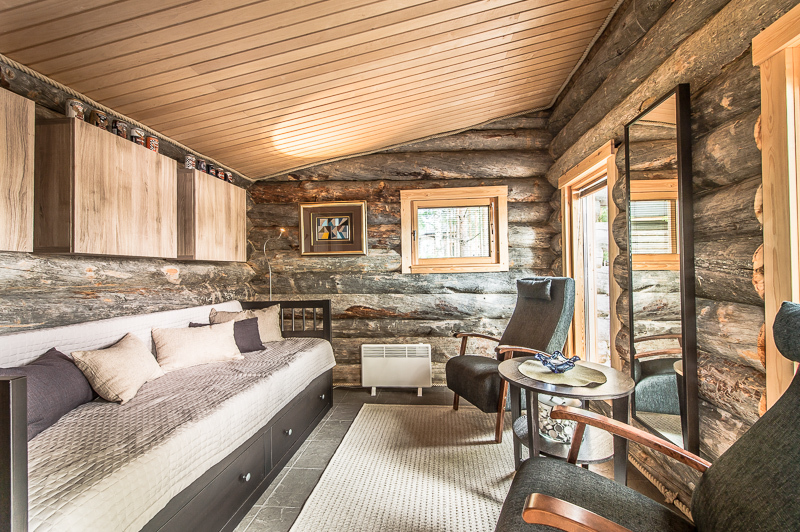 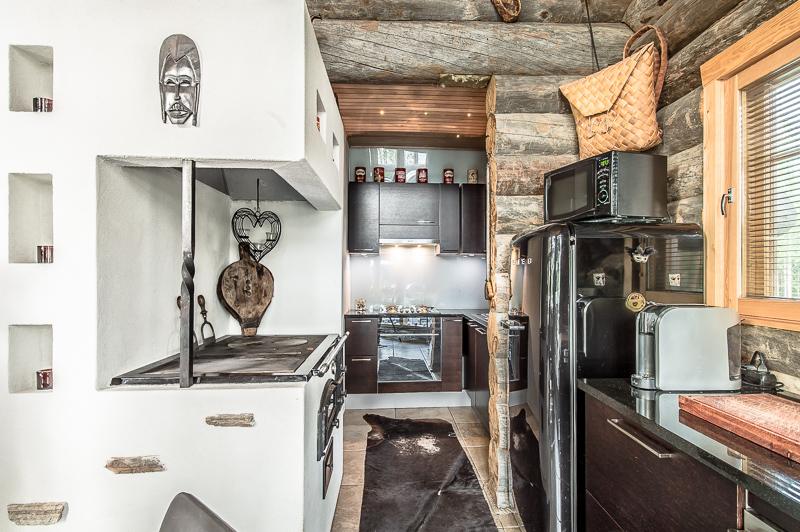 The interiors in the main cabin get the earthy comfortable atmosphere from the building material, of course. 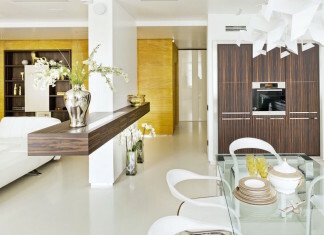 Bold decoration and mix of materials in the rooms make the place look interesting with a good taste. 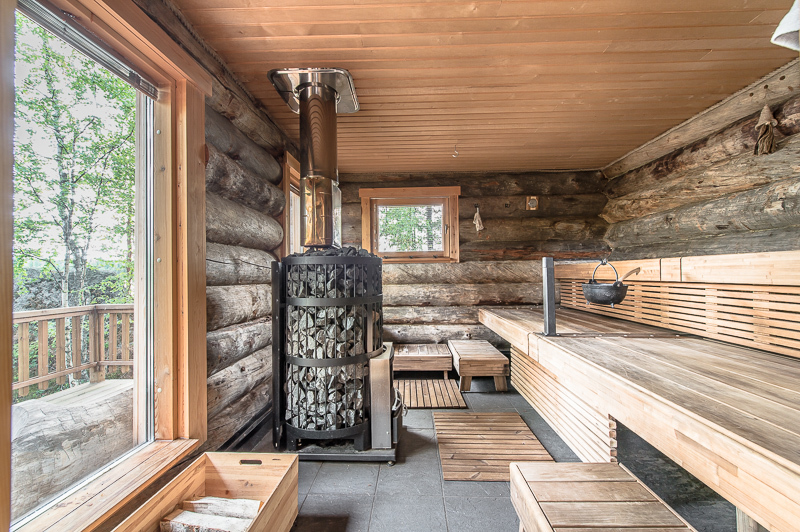 But on top of all is the sauna with a full lake view. 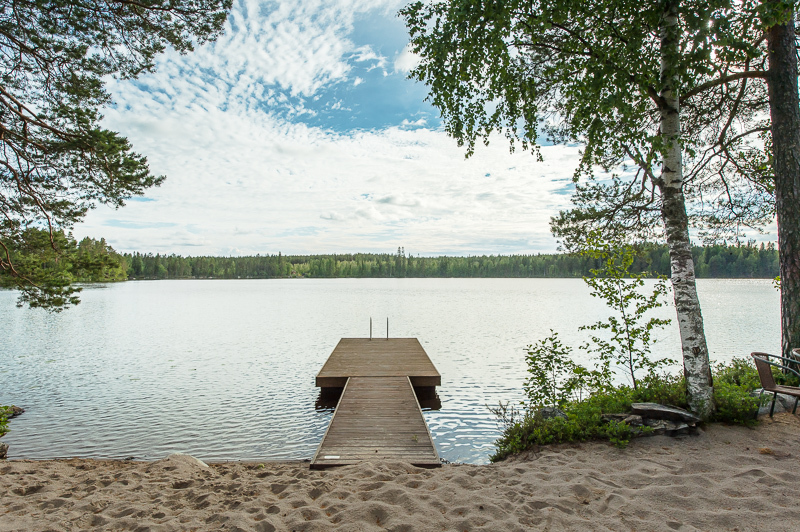 After a hot steam it’s nice to take a bath in the refreshing lake. 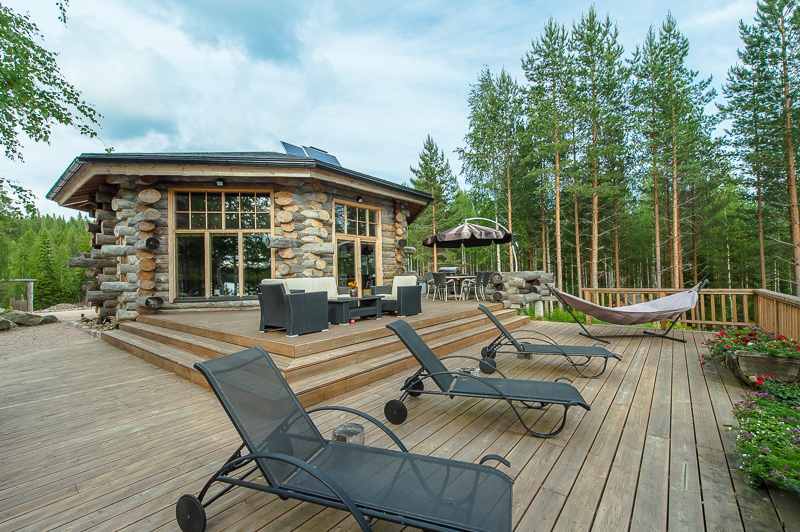 The huge patio area serves the sun bathers on sunny days while watching the kids play beach volley beside. 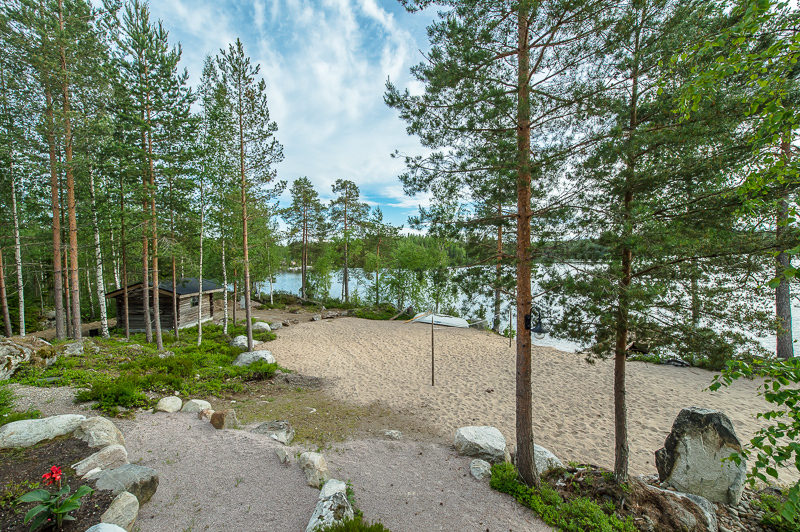 An amazing place, listed at Arvoasunnot.